🔴Mega Man Legacy Collection - Full Playthrough of Mega Man 5 (NES) - LIVE STREAM [ We finished Mega Man V on the NES last night live on YouTube. Want to see the archived version? Look no further, it's right there! Huge thanks to all the moderators last night and Deluge for providing me with the bosses order, tips and tricks! Appreciate you guys :-) Want to become a member and support the channel? Becoming a member unlocks special badges & custom emojis for the live streams, a special role in the Discord server and more! Join right now by clicking on the "$" If you want to support the channel, you can send a donation through Streamlabs (no obligations though!). You will have your name pop up on stream with a custom message of your choice that will be read for the other viewers! How awesome is that? You will also receive my eternal respect, which means a lot! ❌ No harassment, political talk or racism. We're all humans that enjoys video games, please respect everyone! ❌ No self-advertisement or requesting to become a moderator. ❌ We're a pretty positive group, so please avoid being negative in the chat. We're here to have fun! 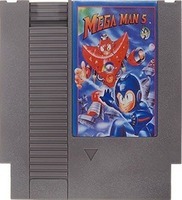 Mega Man Legacy Collection, known as Rockman Classics Collection (ロックマン クラシックス コレクション) in Japan, is a game collection from the classic Mega Man series produced by Capcom and Digital Eclipse. Its digital release was on August 25, 2015 for PlayStation 4, Xbox One, and Windows (via Steam), and 2016 for Nintendo 3DS. A physical release was released on February 23, 2016. A release for the Nintendo Switch was released on May 22nd 2018. 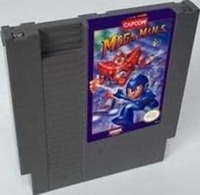 It contains the first six Mega Man games with high definition 8-bit graphics and additional content. The physical 3DS release also has a limited version titled Collector's Edition (Limited Edition in Japan). The North American version contains a golden Mega Man amiibo and six postcards, while the Japanese version includes a Wily Numbers cover jacket, a Rockman notebook with research journal entries by Dr. Light, five pixelated sticky tags, a large box and two download codes for 3DS themes. A sequel was announced on June 5, 2017 Mega Man Legacy Collection 2 for the PC, Playstation 4, and Xbox One, which consists of Mega Man 7, Mega Man 8, Mega Man 9, and Mega Man 10 which was released on August 8, 2017.